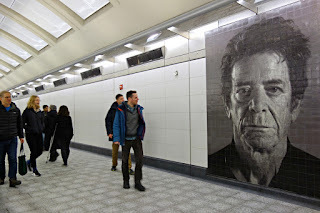 The first phase of New York City's Second Avenue Subway opened on January 1st, 2017 in an event billed by Governor Andrew Cuomo as the "largest public art installation in NY history." Artworks by Chuck Close, Vik Muniz, Jean Shin and Sarah Sze were permanently installed at four stations (including three new stations at 72nd, 86th and 96th Streets). At the Second Ave-86th Street station, Chuck Close created twelve large-scale works depicting subjects including Philip Glass, Zhang Huan, Kara Walker, Alex Katz, Cecily Brown, Cindy Sherman, and Lou Reed, as well as two self-portraits. 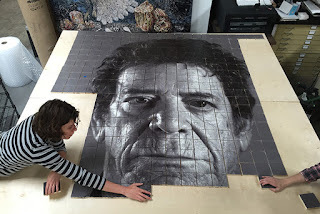 Close's ceramic tile portraits of Philip Glass and Lou Reed were created at Magnolia Editions; the technique used was gradually developed and perfected at the studio over the last several years. 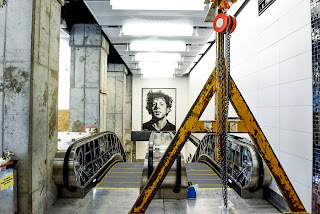 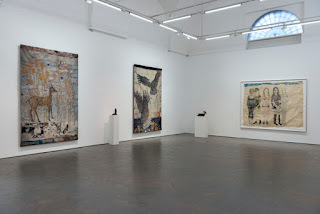 For more installation photos, please check out this review at Hyperallergic; for full highlights of the Second Avenue line opening, please see the New York Times' coverage. 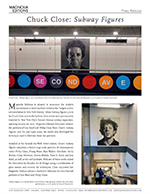 Congratulations to Close, the MTA, Mosaika and all those involved in this project!